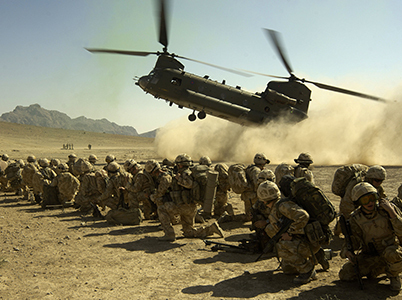 A Royal Marines Reserve is a commando trained General Reserve with the primary function of reinforcing the Regular Corps on operations and exercises in the UK or overseas, contributing to a world class Navy, ready to fight and win. All members of the RMR have passed through the same rigorous Commando Course as their regular Royal Marines counterparts to earn the coveted Green Beret. There are approximately 600 RMR distributed between the five RMR Centres within the UK. Approximately 10% of the RMR are working with the Regular Corps on long term attachments in all of the Royal Marines regular units. RMR Merseyside is based in Liverpool with a detachment based at HMS Forward in Birmingham and two others in Manchester and Nottingham. Joining the RMR is not for the fainthearted. It requires real commitment and determination. You need to be at least 15 years and 9 months old when you apply, physically fit and able to meet the same entry standards as the Royal Marines. The upper age limit is usually 33. Candidates over the upper age limit, with former military service, may be considered on an individual basis. Only men can serve in the RMR. The RMR usually train on one evening a week, one weekend a month and undertake an annual 2-week continuous training course. The RMR is very much a force for use, and all ranks have the opportunity to serve with the Regular Corps around the world, on exercise or operations. Members of the RMR are paid the same rates of pay as their regular counterparts and earn an annual tax-free bounty (£395 after the first year, rising to £1,556 after 5 years) on completion of a minimum annual training commitment.